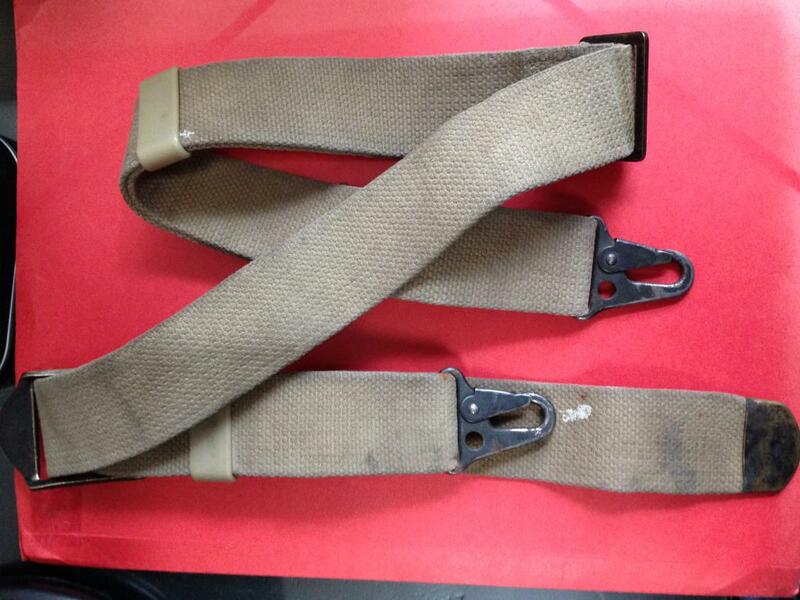 Seth Cane has previously written a 3-part series of articles for us on the Galil, which you can see here: Galil SAR, Galil AR, and Galil ARM. 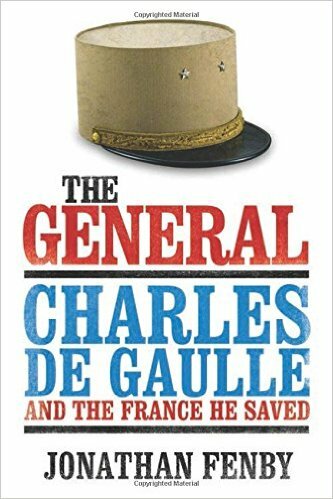 He is now following that with an in-depth piece on the Swedish trials of the Galil. Thanks, Seth! For folks interested in the Galil, Seth has also produced a PDF guide to the rifle in its many variations, which you can download here for free. Although Sweden has maintained its neutrality for almost 200 years, it has managed to foster many great advances in small arms over the course of modern history and remain at the forefront of arms technology and military capability. 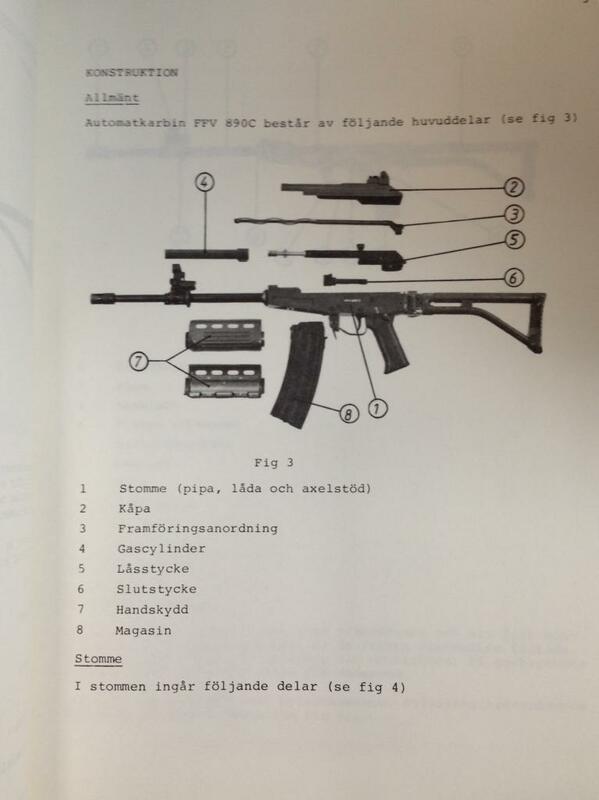 Today we will examine one of the least-known Swedish designs that came quite close to being the standard service rifle of the Swedish armed forces instead of the FNC; the FFV-890C. The story begins in the early 1970’s where Sweden was seeking a new service rifle to replace the rather outdated AK4. The AK4 was a locally-produced (and slightly modified) copy of the venerable HK-G3 rifle introduced to the Swedish armed forces in 1965. Although the AK4 was a reliable and easy to produce, budget-constraints and changes in the military’s logic (which at the time favored investments in aircraft and vehicles instead of small-arms) meant that mass-production never met the requirements of the Swedish military where the old Mauser rifles were still officially in use with rear echelon units and the Hemvärnet (Home Guard). At the same time, the adoption of the M16 by the Americans and the AK47/AKM/AK74 by the Soviets prompted Sweden to seek a new, lighter design in a caliber smaller than 7.62 NATO rather than continue to produce the AK4. Thus, new trials were put forth for the adoption of a service rifle that would be the AK5. 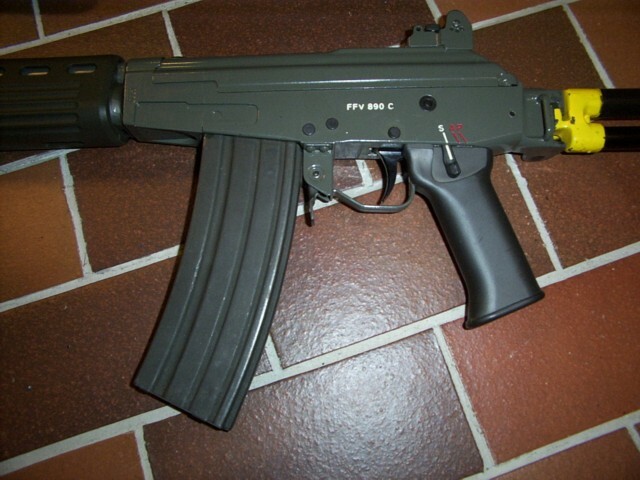 Problems with most of the designs were quickly found during winter cold-weather testing that immediately disqualified most of them from selection, with the only remaining candidates being the FN-FNC (the FN-CAL was disqualified for cost and when production ceased) and the IMI Galil-ARM/SAR. 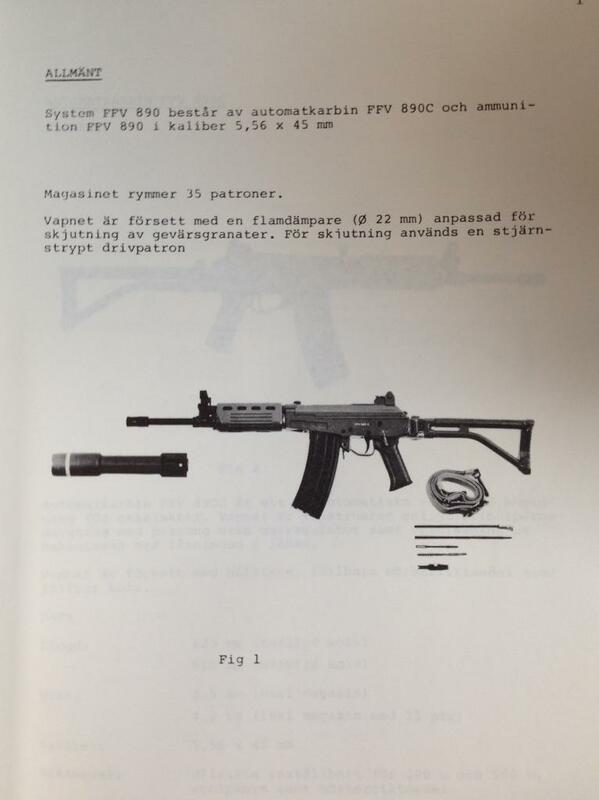 Although the Galil-ARM and SAR tested were international export models produced by IMI, both had been submitted and re-designated “FFV-890” by Försvarets Fabriksverk (FFV), a defense manufacturer that existed from 1943-1991 that also maintained ownership of the Bofors Carl Gustav state arsenal, in hopes of producing the rifle on license as was the case with the HK-G3. 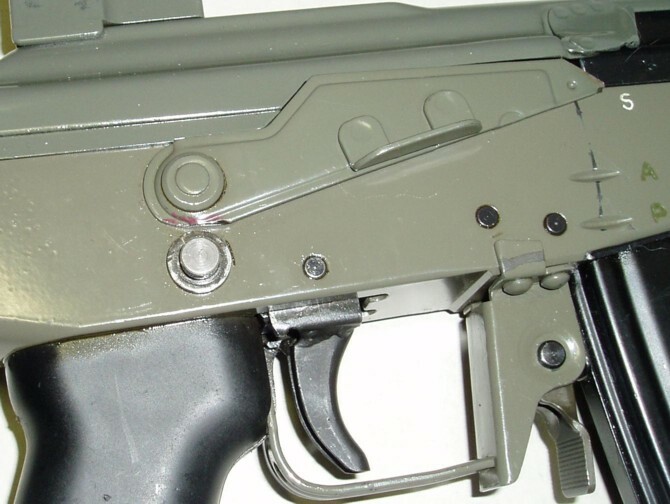 Although the Galil-ARM was unmodified, the Galil-SAR had a brass plate riveted over IMI’s markings on the receiver and given new markings. This was only done to the SAR model; the ARM kept its original markings, possibly because FFV found the SAR as having a greater chance of adoption than the heavier ARM. 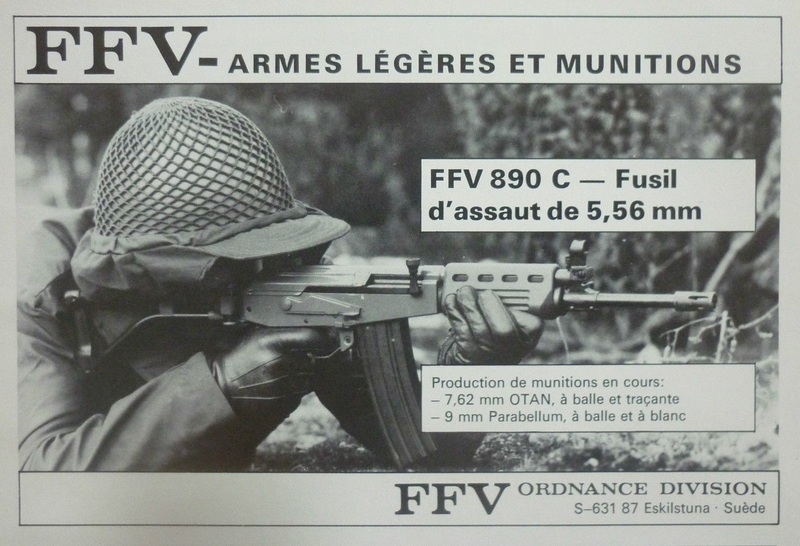 It should be noted that most components on the FFV-890C were prefabricated by IMI with only the handguard assembly being a likely FFV-manufactured component. Despite this, there is some indication that the receiver may have also been manufactured by FFV as it lacks the lightening-cuts and markings used by IMI during the period. The FFV-890C is unusual compared to the Galil in that the receiver, recoil assembly, dust cover and bolt assembly are all serialized to the weapon; at the time, only the receiver, bolt and dust cover were serialized on Galil rifles. This practice was later dropped with only the receivers being serialized. 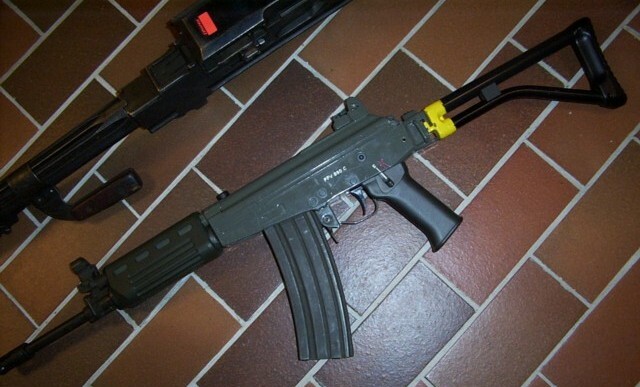 The redesigned FFV-890 (Galil-SAR) was designated FFV-890C (the addition of the ‘C’ indicating an update similar to American use of ‘A1/A2’ designations) and was presented as a complete rifle package, including a three-vial cleaning kit and rod, a multi-purpose Galil tool, rifle-grenades and a sling comprised of a Galil sling webbing with HK metal hooks attached. The FFV-890C Model 2 presumably incorporated changes requested during the trials. It is unclear why most of the changes were made, as they appear unnecessary for the design with most of the ‘upgrades’ incorporated into the FFV-890C Model 1 being removed. With the new safety mechanism, it is implied that a user could have the rifle set to either Semi-or Full-Automatic firing modes and still have the rifle on safe with the cross-safety, though it is unclear if this was the intent of the design. Some Model 2 rifles even had modified G3 selectors affixed to the main axis on the left side; there was one example on display at the former Carl-Gustav museum in Eskilstuna, though the museum has long since closed. To date it is unknown how many Model 2 rifles were produced, but the number was certainly small, even compared to the standard Model 1 FFV-890C. Further testing of the FFV-890C and FN-FNC was conducted during the 1979-1980 period, where the FFV-890C was considered favorable over the FNC by the participants but labeled the opposite in the trial documents. The most likely reason for this was costs; because tooling for the AK4 was already setup for stamping components, it was deemed a step back to revert to milling and investment casting over the more economical method already employed. The Galil/FFV890C is almost entirely machined with the only stamped components being the magazine-release, dust cover, trigger guard, and right-safety selector. The FNC, on the other hand, incorporated a stamped upper-receiver and handguard assembly with an easy to machine alloy lower-receiver, cutting costs significantly. 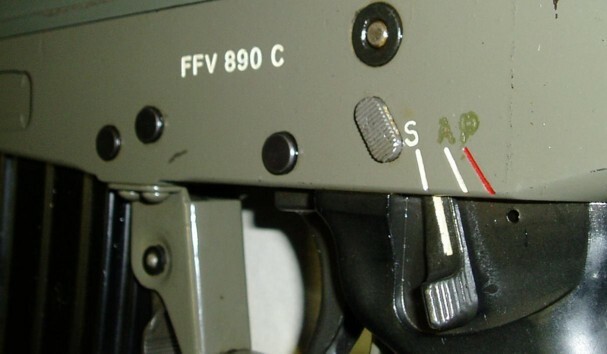 FFV had made attempts to incorporate a stamped-receiver like the AKM into the Galil/FFV-890C design, but like other attempts to do so with the Galil, this proved unworkable. 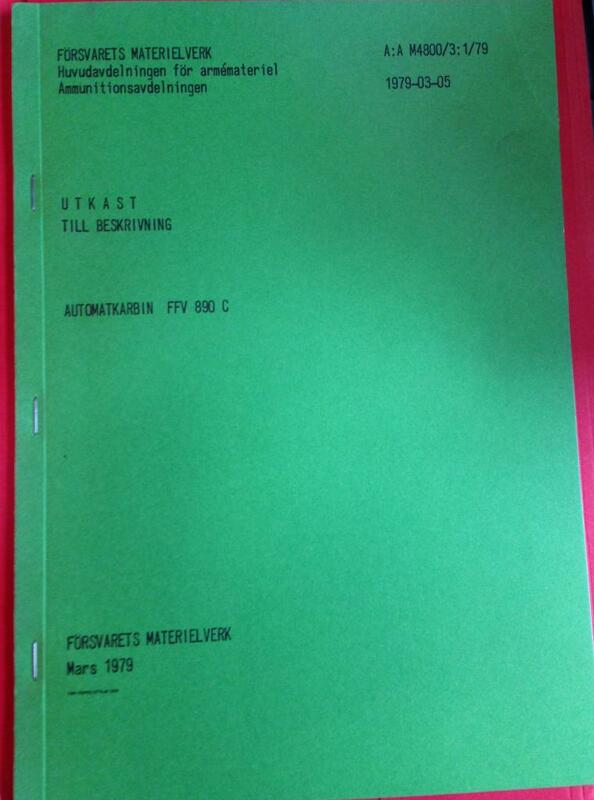 There were a few other possible political reasons for choosing the FNC over the FFV; first, the Israeli government did not have great favor amongst the Swedish social democratic government at the time (likely due to its seizing of territory after the Yom Kippur War of 1973) and discouraged adoption of an Israeli-licensed design; second, although Sweden was officially neutral, internally it considered the Soviet Union to be a greater threat than the West and adoption of a AK47-derived design was also discouraged. Ultimately, the FN-FNC was declared the winner by the FMV-Försvarets Materielverk (Swedish Defence Materiel Administration) and modified further into what became the AK5, which was fully-adopted in 1985. That same year, production of the AK4 ceased. FFV made attempts to market the FFV-890C internationally but failed to garner any buyers. The rights to the FFV-890C design were then sold to the Finnish company Valmet, who presumably incorporated some of the design characteristics into their own weapons. It is estimated less than 1000 FFV-890C prototype rifles were made (all bearing 4-digit serial numbers beginning with ‘0’) with some still existing in police armories and a small handful having trickled out into the civilian market. It is rumored about 2-3 damaged rifles were de-militarized and imported in the early 2000’s as parts kits by SARCO company, though no completed rifles have ever been built on US soil. As such, information on the FFV-890C has remained relatively nonexistent despite it having been close to adoption as the AK5 service rifle of the Swedish armed forces instead of the FN-FNC. Today, both the AK5 and AK4 remain in service with the latter seeing use with reserve units such as the Home Guard. Special thanks to my friends in Sweden for helping make this article possible! As far as political considerations go, Sweden as neutral couldn’t very well adopt an Israeli Kalashnikov, and there is the IWI distribution in Latin America during the time period that also made it politically objectionable to the Social Democrats. Very informative article! Thanks very much. 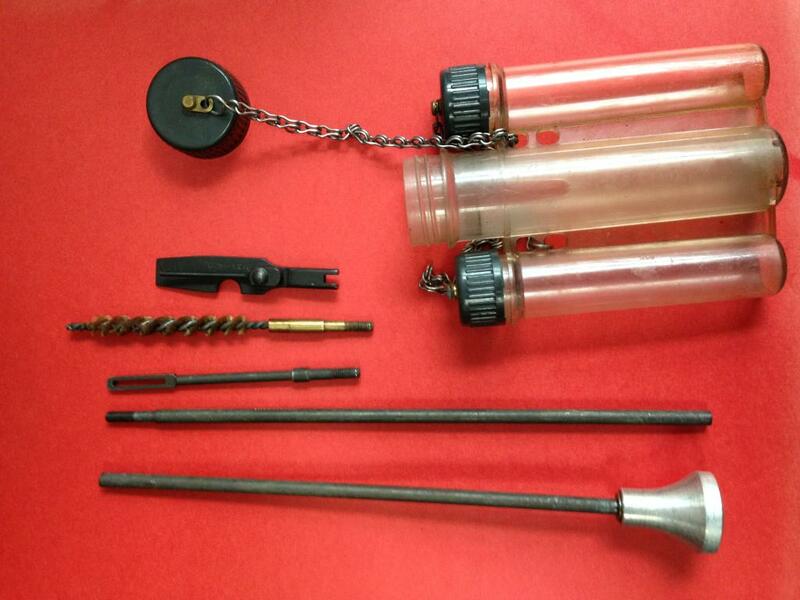 extremely small caliber experiments were done more than a century ago by Mauser, Modragon and others. 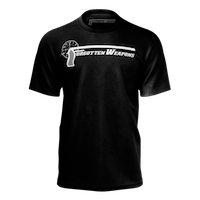 What Kjellgren did in the seventies (published in American Rifleman, for example) had in my view the disadvantage of using the .22 Winchester Magnum Rimfire case. This is very low power for intended military applications. The .17 Hornet cartridge was developed by P.O.Ackley in early 1950s, so far I know that is earliest .17 cartridge which get any notable popularity. Thank you both, gents. I guess I meant the .17 HMR because of the rimfire issue. It might be interesting to see if the Belgian FN Herstal designers of the P90 knew much about the Swedish prototypes when the 5.7x28mm cartridge was developed? In the mid-1980s the Finnish Army considered switching to a HVSC cartridge and if that had been done, the FFV-890C probably would have been the basis for the new Finnish army assault rifle, since it had already been extensively tested in arctic conditions. The tooling used to make the RK 62 could have been relatively easily modified to make the FFV-890C, since they both had a milled receiver. In the end the army decided to keep the 7.62x39mm cartridge and the final result of the development was the RK 95 TP, which has a Galil style stock, but otherwise is not that similar to the FFV-890C (other than both being AK derivatives and having the RK 62 as an ancestor, of course). the galil is known as a very heavy rifle, heavier than an ak. Finland used the Valmet, which is similar… One had a flash hider that doubled as a barbed wire cutter, it had a slot running down it from the muzzle into which the wire would fit – pull the trigger, cut the wire. Of course such devices were developed by several armies in WWI too. The Austrian Bundesheer used such a design in the wire-cutting muzzle attachment/grenade launcher on the Austrian contract FAL rifle, StG58 and later the StG77 or Steyr AUG.